Claire was born Oct. 10, 1941, in Whitehall, Wis., to Clarence and Arline (Swenson) Johnson. She graduated from Whitehall High School in 1959. It was there that Claire made quite an impression on her math teacher, Robert A. (Bob) Nelson and despite receiving her first B grade from him, she married him two years later in 1960. Following their marriage, Bob and Claire settled in Chippewa Falls and Claire completed her RN degree at Luther Hospital School of Nursing. She had a long and rewarding career at the Northern Wisconsin Center as a nursing supervisor and concluded her career as the director of nursing. Claire was active in her church and was dedicated to her volunteer work at the Open Door Clinic in Chippewa Falls. Claire enjoyed traveling around the world and had a special affinity for the beaches of Puerto Vallarta and Cabo San Lucas. She liked to “check out” the casinos in any place she happened to pass through, always hoping to win the “the big cashew.” Claire enjoyed many close and long friendships; her high school gang, her former tennis gals and her card group, who enjoyed playing, talking and eating. 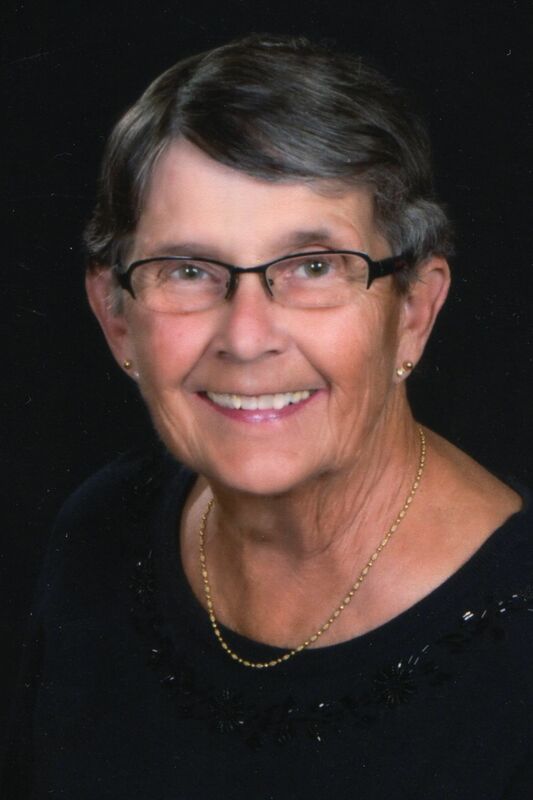 Her love for sports was evident, whether watching the Packers or Badgers on TV or playing a mean round of golf. Claire was especially proud of her grandchildren and loved watching their varied sports and music activities. She also enjoyed throwing in a fishing line off their dock on Lake Wissota. Claire is survived by her husband of 58 years, Bob; and her two daughters, Kristin (Danny) McCullough of Shoreview, Minn., and Lauren (Jason) Bobb of Chippewa Falls; six grandchildren, Ian, Arina and Paulina McCullough and Logan, Easton and Bennett Bobb. She is further survived by one brother, Keith Johnson of Whitehall; sisters-in-law, Julie Johnson, Sharlot Nelson and Jeri Wentz; and brother-in-law, Charles Nelson; as well as nieces, a nephew and many cousins. Claire was preceded in death by her parents; daughter, Kerri; and her sister, Linda. We take comfort in knowing that she has been reunited in heaven with those so very dear to her. A celebration of Claire’s life will be held at 3 p.m. Sunday, March 24, at Our Saviour’s Lutheran Church, Chippewa Falls with the Rev. Karen Behling officiating. Visitation will begin at 1 p.m. Sunday at the church. A private burial at Forest Hill Cemetery, Chippewa Falls, with be held with the family at a later date. Gifts in memory of Claire may be designated to the Open Door Clinic in Chippewa Falls, or Our Saviour’s Lutheran Church in Chippewa Falls.